History is repeating in Tennessee, where for the third consecutive year Republican state Sen. Steve Dickerson has tabled a bill to carve out medical cannabis protections for patients with debilitating conditions. On Wednesday, Dickerson told a senate committee that he would propose a new version of the bill in 2020. Lawmakers in Tennessee, one of the few remaining states where cannabis is fully illegal, are still considering a pair of decriminalization bills. But any progress on medical legalization or affirmative defense protections will have to wait until next year. Republican Steve Dickerson, an anesthesiologist by trade who represents Nashville in the Tennessee Senate, is still struggling to put together enough votes to pass his medical cannabis bills. Over the past few years, Sen. Dickerson has proposed a few different versions of the legislation. Then, in 2018, Dickerson and Republican state Rep Bryan Terry announced the Tennessee Responsible Use of Medicinal Plants Act, or TRUMP Act. The TRUMP Act, so named to help garner support in beet red, pro-Trump Tennessee, was similar in many ways to Dickerson’s 2017 legislation, and it suffered the same fate. Dickerson couldn’t muster enough votes. And on Wednesday, Dickerson announced that 2019 would in fact not be the year for his medical cannabis bill, either. This comes despite the fact that the 2019 proposal was Dickerson’s most comprehensive bill yet. He says he’ll propose it again in 2020. Unlike previous years, the Senate seemed prepared to begin discussion and debate on the bill. The Senate Health and Welfare Committee was set to take it up on Wednesday. But at the last minute, Dickerson decided to pull the bill from consideration. While the move may have kept the bill alive, it means it can’t advance this year. If it had, Tennessee patients would have been able to purchase authorized medical cannabis products by summer 2020. Those products would have included oils, sprays, pills and other forms for vaping and eating. But the bill would have prohibited smokable products, a controversial provision that has faced fierce legal battles in other states. 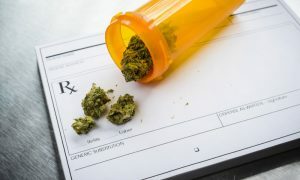 Unlike previous iterations, the 2019 medical cannabis legislation included a plan to establish a regulated industry, including licensing and a patient registration. Eligibility would depend on whether or not a patient had a qualifying diagnosis. So far, the list of qualifying conditions includes cancer, PTSD, HIV/AIDS, severe arthritis, and epilepsy, among a few others. Despite backing from prominent lawmakers who support medical cannabis legalization, Dickerson determined the conservative Tennessee legislature would likely reject the bill. Still, Dickerson says he believes its “on the precipice of success,” and that “facts will win out” in the debate about progressive marijuana policy. The senator also blasted law enforcement’s opposition to the bill as inflammatory, misleading and disingenuous.